Modified Rat Shack Optical Theremin, housed in a circa-1940's Kodak Brownie camera. 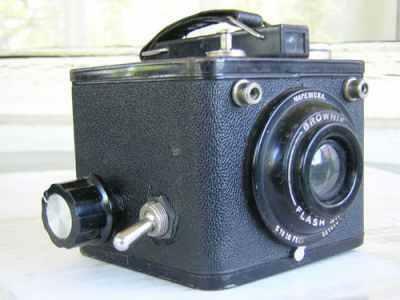 The photocell is behind the lens. The switch selects between the standard mode, and a range-limited mode so you can keep the signal in lower octaves. Seems to belong to a Housepig member.